CC: Competence Centre is a physical infrastructure supporting different user groups by providing state-of-the-art hardware, software components, and support in form of experienced staff.  Proposing a flexible model of smart factory involving collaboration of humans, robots, AGVs and machinery.  Providing a generic technical framework facilitating adaptation of robotics by SMEs developed together with selected end users.  Setting up Centres of Competence that provide infrastructures, expertise and environments enabling SMEs access to the robotics solutions.  Validating the suitability and transferability to further applications of the framework with new end-users recruited by an Open Call mechanism. The Open Call mechanism offers funding opportunities to small, focused projects – “experiments” with a runtime of a maximum 9 months and a budget of maximum 200,000€. Funding will support experiments in real industrial settings involving near autonomous robotics technology or cooperation between humans and robots on a production line with no barriers using the HORSE framework. The goal of the experiments is to validate the HORSE framework by adopting it or some of its elements in manufacturing SMEs, to extend the framework by developing new components and integrating additional hardware support or to increase the potential reach of the framework by adapting it to new areas. The Open Call mechanism is organized in full compliance to the guidelines provided in the “Good practices and templates for organizing open calls under the H2020 Financial Support to Third Parties scheme”. The project calls for contributions that validate the framework in real industrial settings involving nearly autonomous robotics or human-robot collaboration. The experiments are also expected to extend the framework by providing new functionalities (software components) or integrating new robots and other machinery (hardware components). The main goals of the experiments are to validate, extend and refine the framework as well as to maximize the impact of HORSE on the European manufacturing sector. This will be achieved by demonstrating the reusability/generalisability of the use cases to be proposed and by detailing the impact in the specific industry. It is of utmost importance for the proposals to tackle human safety issues properly. The safety of the developed system needs to be ensured and validated according to the legal requirements in place (involving safety certification if needed).  Haptic teleoperation interfaces and other novel human-robot interfaces. Funding will support Application Experiments in real settings involving near autonomous robotics technology or cooperation between humans and robots on a production line with no barriers using the HORSE framework. Funding mainly addresses personnel expenses, as well as travel and subsistence. Up to 20% of the budget can be reserved for equipment and consumables needed to implement the use case. Purchasing of an industrial robot or other machinery is not possible within the experiments. Only the costs of leasing or renting such a robot are considered eligible. A non-exhaustive list of companies offering robot rental services is available on the HORSE website. The experiment consortia are not obliged to use the services of any of those institutions. Other equipment may also be leased if the need for it is justified in the experiment proposal. Participants of the experiments are allowed to sub-contract 10% of the budget, but sub-contracting should not cover core activities of the experiment. The subcontracting tasks, objectives and reason to subcontract should be clearly specified very clearly in the proposal. Each proposal for an application experiment will include justifications of costs and resources for all participating entities. Checking the consistency between these costs and the expected work of the experiment will be part of the evaluation of application experiments. In the HORSE application experiments, one or more organizations can apply for funding by submitting a proposal describing their goal and business value, the technical plan to achieve it, and an estimate of the involved cost. The non-profit third parties will be funded 100% of their respective direct cost (including 25% indirect costs). Funding for the for profit making third parties is limited to 70% of the respective direct costs (including 25% indirect costs). The financial support provided by HORSE will cover a maximum amount of 200,000€ (EC funding rules for H2020 apply), with the involved organizations committing to finance the remaining share. Third parties can receive pre-financing of up to 25%. There will be a single interim payment of up to 35% of the total budget within the duration of the experiment and a final one upon its successful finalization. The interim and final payments depend on successful completion of milestones and/or deliverables as specified in the respective contract with CEA and measured against Key Performance Indicators (KPI). Application Experiments proposals should suggest a limited but sharp and appropriate set of individual KPIs. Those KPIs will be fine-tuned during the preparation of the contract. Relevance and appropriateness of KPIs will also be evaluated along the feasibility of the objectives. Because of the expected scope and impact of the experiments the Call welcomes in particular consortia of partners offering complementary, multi-disciplinary competences. Consortia should consist of the end user (a manufacturing SME) and other partners depending on the needs, e.g. research institutions, system integrators and hardware providers. In HORSE, financial support may be provided to any legal entity possessing a validated Participant Identification Code (PIC). At the moment of submission, though, the entity can apply with the provisional PIC. Once these conditions are met, financial support can be given to natural persons, public or private bodies, research organizations, non-profit organizations, small and medium enterprises, international organizations, international organizations of EU interest, established in an EU Member State or in an Associated Country. The funding is limited to 200,000€ for an application experiment in total. There are no restrictions regarding the number of proposals in which an entity can participate. However, the funding for the beneficiary (as defined by the EC1) of shifts between partners in an experiment concerning this matter will be part of the contract.  The functionalities to enter general/administrative proposal information and partner data.  Information which is required to avoid any potential conflict of interest (e.g. relations to the current HORSE Partners). It is the proposers’ responsibility to ensure the timely submission of proposals. The complete proposal consists of (i) the completed and uploaded proposal template and (ii) the completed web forms. Once the requested information has been entered, the portal will allow you to download a combined scientific-administrative document for your reference. You can submit as many times as you like and the version submitted most recently before the deadline will be considered for evaluation. However, the deadlines given in these guidelines are binding and proposals submitted after the deadline will not be taken into consideration. Shortly after the effective submission of the proposal, an acknowledgement of receipt thereof will be sent to the e-mail address of the proposal coordinator named in the submitted proposal. The sending of an acknowledgement of receipt does not imply that a proposal has been accepted as eligible for evaluation. For any given proposal, the experiment coordinator acts as the main point of contact between the experiment team and HORSE. Upon receipt by HORSE, proposals will be registered and their contents entered into a database to support the evaluation process. Eligibility criteria for each proposal will also be checked by HORSE before the evaluation begins. Proposals that do not fulfil these criteria will not be included in the evaluation. A proposal will only be considered eligible if it meets all of the following conditions: (i) it was received before the deadline given in the call text, (ii) template and web forms (all sections!) have been completed and (iii) the eligibility criteria set out in Section 3 – Activities, eligibility and funding are met. Research activities in Horizon 2020, and particularly in HORSE, should respect fundamental ethical principles, particularly those outlined in “The European Code of Conduct for Research Integrity”. Therefore, questions about ethical issues are to be addressed in the proposal text, if ethical issues apply to an application experiment, before and during the runtime of the research activities within HORSE, including the approval by the relevant committees. As a special service to potential applicants, pre-proposals can be submitted via the HORSE Open Call Platform during the first nine weeks after publication of the call. 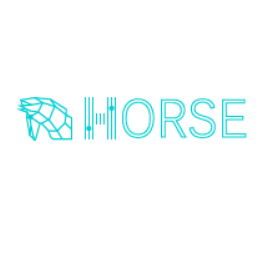 A member of the staff of the HORSE Project will respond to pre-proposers within a reasonable period, if longer than five business days, the applicants will be informed. The response will be limited to clarifying whether the proposal fits into the scope of the call and how the proposal could be improved. Please note that it is not mandatory to submit one and it has no influence on the evaluation of the full proposal. The evaluation will be performed in two steps. In the first step, the experts will review each proposal according to the expected impact, realistic estimations of effort and benefit, timeline, transfer potential to other domains and cost (see Section 8 - Proposal evaluation criteria). Each proposal will be evaluated by at least two acknowledged evaluators with different expertise in the technology field, in the application area(s) and in the business development. Only external experts (independent from HORSE consortium and from any proposer), will be involved in the evaluation process. The outcome of the first step will be a ranked list of all proposals based on the individual scores obtained by each proposal. In the second step, during a physical or virtual panel meeting, the most promising candidates will be identified based on the individual evaluations. The chair of the panel will inform all the participants about the results of evaluation and selection. A public summary report will be published on the project website within 30 days from the end of the selection procedure. Upon receiving the evaluation results the applicants have two weeks to start the redress procedure by sending complaint via the proposal submission platform at http://opencalls.horse-project.eu.  Potential to address future/wider applications within the targeted industry or in general.